The all new Jeep Compass is slated to go on sale in India this August and according to our source, the C-segment SUV will sport an introductory price tag of Rs 16 lakh (ex-showroom). This is way below our earlier estimate of Rs 25 lakh and highlights Jeep's intention to play the 'competitive pricing' card with the Compass. At this price the Compass will undercut the Hyundai Tucson by close to Rs 2 lakh. It may however be noted that the keyword here is 'introductory' and Jeep will increase the price of the Compass after a certain period. 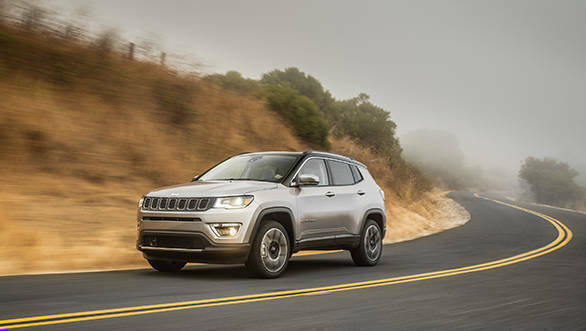 The aggressive pricing is a result of Jeep's decision to build the Compass at FCA's sprawling Ranjangaon facility and localising most of the parts. Jeep had faced flak for the steep pricing of the Grand Cherokee and Wrangler, both CBUs. This, however, was attributed to the heavy import duties which had to be passed on to the customer. The new Jeep Compass bears striking resemblance to its elder sibling, the Grand Cherokee and that's not a bad thing at all. In fact, the styling is what makes the Compass a stunning SUV to look at. Its muscular lines and proper SUV stance should also appeal to our market that is currently in favour of SUVs or anything that looks like one (think crossovers). At 4.4 metres, the SUV is fairly large and in terms of space, it should match or better the likes of the Hyundai Tucson. The Compass is a five-seater with the rear seats featuring a 40:20:40 split configuration that gives its flexible luggage carrying capacity. The interiors are also designed to match segment rivals. Jeep has left no stone unturned to ensure equipment is up there with what its competitors offer. The Compass will be introduced in thee trims- Sport, Longitude and Limited. The top-end Trailhawk variant, that's available internationally will not be available initially. It features all the 4x4 bells and whistles that endows it with better off-road capability than other variants of the Compass. 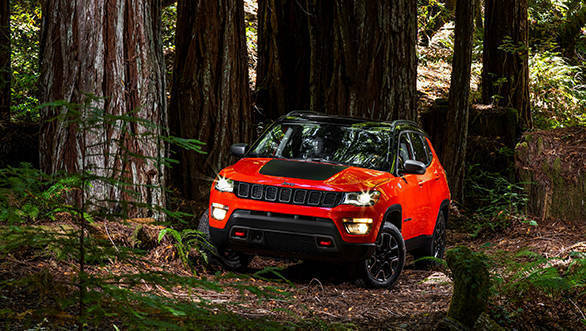 Jeep is expected to introduce the Compass with a 2-litre Multijet diesel that develops 165PS and 350Nm. The engine will be mated to either a six-speed manual or a 9-speed automatic, depending on the trim. The Jeep Compass at the projected price of Rs 16 lakh presents itself as good value proposition. The brand and the model is uncommon and the looks are definitely appealing. Jeep may just have a winner in the new Compass.